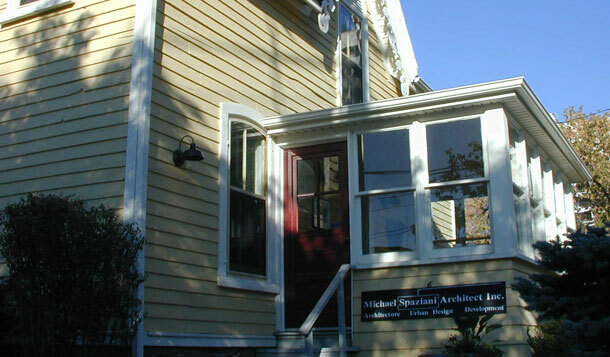 Michael Spaziani is the principal of MSAi, an architectural firm specializing in Commercial, Retail, Waterfront Condo’s, Conceptualization, Expert Witness and Heritage Assessments. Initiated in 1986 the firm is celebrating its 25th year of practice, headquartered in Port Credit, Mississauga. Mr. Spaziani commenced his architectural career winning the Royal Architectural Institute of Canada Medal for academic excellence upon graduation from Carleton University in Ottawa. In 2010, Mr. Spaziani was inducted into the Royal Architectural Institute of Canada College of Fellows, an honour reserved for only a few architects each year, recognizing their contributions to Canadian community. A Dean’s Honour Roll member at the University of Waterloo, he has been the recipient of many urban design awards in Ontario for building projects in Oakville, Mississauga, Pickering and Brampton. His Master Plan for the Wyndfield Community in Brantford was selected as the Ontario Home Builders Community of the Year in 2003. He has advised the municipal councils of Markham, Whitby, Ajax, Bolton, East York, Oakville and Vaughan on architectural and urban design matters over the past 2 decades. He has on two occasions acted as a juror for the Vaughan Urban Design Awards program and was a professional juror for the 2004 Oakville Urban Design Awards. In 2006 he was selected as a juror for the Absolute Condominium international competition in Mississauga. The winning selection, the "Marilyn Monroe" building has emerged as an remarkably powerful orientation symbol for Mississauga. In the same year he was honoured to be chosen as a juror for Mississauga’s 25th anniversary Urban Design Awards program. He has shown professional community leadership volunteering for important positions such as Chairman of the Toronto Society of Architects (1989 through 1990) and Councillor for the Ontario Association of Architects (1990 through 1993). As chair the OAA Task Force on Development Control Reform representing Ontario architects during the Sewell Commission, he monitored the proposals of the provincial government with a view to streamlining the often difficult and expensive project approval process in Ontario. He currently sits as a citizen volunteer for the Mississauga Heritage Committee, on the Boards of the Lakeview Legacy Foundation and Port Credit Community Foundation and, member of the Mississauga Urban Design Review Panel. He is a past Director of the Mississauga Art Gallery. On several occasions Mr. Spaziani has been invited to participate in design charrettes for new communities and developments including Toronto’s Castlefield Caledonia Design District, the Greenwood Racetrack redevelopment, the Bathurst Spadina Rail Lands redevelopment, Kitchener’s Downtown revitalization, Mississauga’s west of Square One lands and Ajax’s Downtown redevelopment. He has been an avid supporter of neo-traditional planning ideals acting for several new communities including Angus Glen, The Village at Niagara-on-the-Lake, the South Slopes of Riverdale Farm in Caledon, and Morrison Village in Oakville. Mr. Spaziani’s firm, MSAi is currently active at the Ontario Municipal Board, giving expert urban design evidence, representing various private and public sector clients.